Penelitian - A material based on a natural product of bones and citrus fruit, called citrate, provides the extra energy that stem cells need to form new bone tissue, according to a team of Penn State bioengineers. Their new understanding of the mechanism that allows citrate to aid in bone regeneration will help the researchers develop slow-release, biodegradable, citrate-releasing scaffolds to act as bone-growth templates to speed up healing in the body. "In our lab, we have been working with citrate for over a decade. We knew that in the human body, 90 percent of organic citrate is located in skeletal tissue," said Jian Yang of the Pennsylvania State University. "But no one had really tried to use citrate as a building block to make bone biomaterials. Our new paper tries to understand how citrate helps in bone healing and uses the understanding to guide the design of new biomimetic biomaterials for better bone repair," Yang said. Autografting, taking bone from another part of the patient's body and grafting it to the wound, is the method used most for bone regeneration in a hospital setting. This is not always a suitable method, especially in the case of large wounds or bone tissue removed during cancer treatment. Synthetic biomaterials would be a welcome replacement and many labs are working on developing them. But current synthetic materials cause significant inflammation, and the bone healing rate is slow and healing quality is poor. The body encapsulates the implant with fibrotic tissues that keep the implant from integrating with surrounding bone. With Yang's material, the researchers do not see encapsulation, and chronic inflammation is minimal. "Using our new material, we see the early deposition of new bone at one month," Ma said. "This is much earlier than the biomaterials widely used in FDA-approved devices. In this study we tested two models, the femoral condyle bone and cranial bone defects," said Chuying Ma of the Pennsylvania State University. Ma was given the problem of uncovering the poorly known mechanism underlying the body's use of citrate to regenerate bone. She found that the stem cell membrane has a transporter that is used to transport citrate into the cell to elevate the cellular energy level. When the bone stem cells differentiate to make new bone cells, they require more energy as support for active bone formation. The timing and dosage of citrate supply to stem cells are also critical. Yang and Ma coined the newly identified citrate effect on stem cell differentiation as "metabonegenic regulation" in the paper. The team also identified a second factor involved in energy production, an amino acid called phosphoserine. With their new understanding of the mechanism for bone regrowth, they developed a biomaterial incorporating both citrate and phosphoserine and tested it on rat models. In both animal models we see the new biomaterial is better than the commercial materials in inducing early bone formation and also promoting bone maturation, according to Ma. "To me, this is an important finding. Citrate is now recognized as a central linker between stem cell metabolism and differentiation. We are uncovering the mechanism whereby citrate influences stem cell activity, not only in bone, but by implication extending to other types of cells and tissues," said Yang. "For instance, there is a high concentration of citrate in the cerebrospinal fluid surrounding the brain. 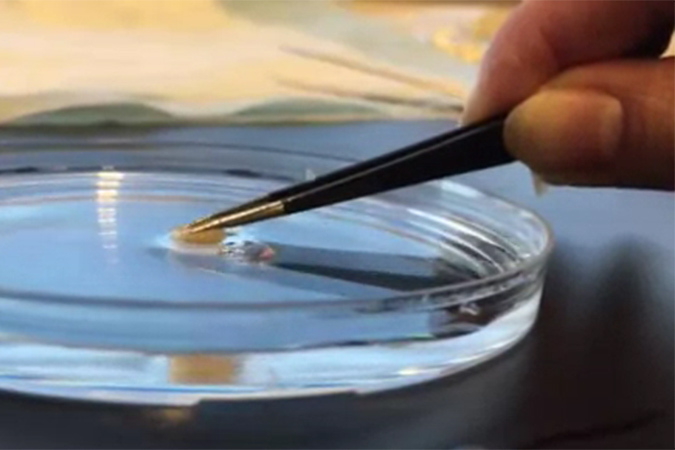 People can now use this understanding to start looking at citrate as a metabolism regulator to further regulate stem cells for other types of tissues and organs throughout the body," Yang said.